In this day in age, a lot of home Insurances will not cover you if you own a Pit Bull, Rottweiler, or German Shepard. They do this because the probability of getting bit by one of these breeds is much higher due to there aggressive nature. 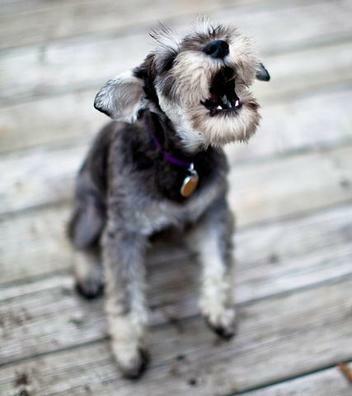 Schnauzers are one of the best breeds to have, especially for families that want a dog who will alert them to strangers & scare off trespassers without having to worry about getting sued by what an aggressive nature of an actual guard dog breed can do.